Dr. Vishwanath BL | Therapeutic Fasting and Wellness Specialist, Wellness Speaker. Majority of the health issues I find today are directly in relation to the Lifestyle we lead. We cannot bring about any transformation in us when we stay ignorant about the causes behind these health issues and do not make lifestyle changes accordingly. Health is taken for granted and when ill, people do not provide the required attention to their body and mind to contemplate why they are falling sick, followed by taking appropriate steps to bring corrections. So By and Large what I see is, more than medicinal intervention a lifestyle intervention is what we need to lead a healthy, active and a progressive lifestyle and that is exactly what Wellness is about. Specialist in treating lifestyle diseases and medical conditions from the root cause with a holistic approach to wellness. 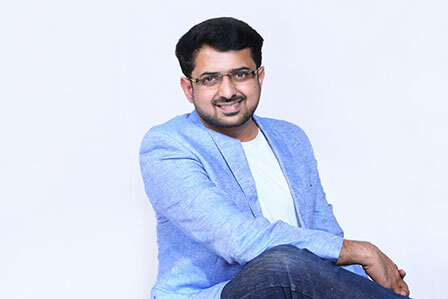 Dr.Vishwanath has been successful in bringing back happiness into people’s lives through Therapeutic Fasting and focus on Wellness as a way of life. Central Focus on bringing about health evolution in a person by positively inspiring lifestyle changes and better life choices. 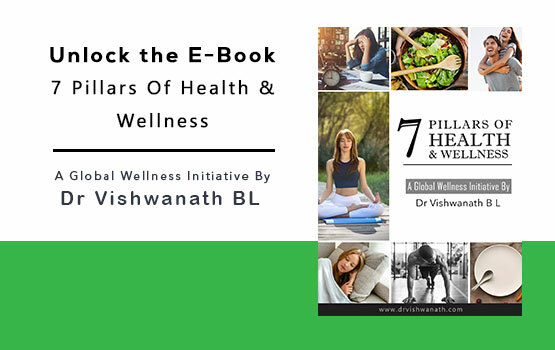 Along with the required medicines, integrate nature and science to create a customized lifestyle plan and help achieve a naturally healthy body and mind, subsequently but gradually reducing the intake of medicines and bringing it to an absolute zero. Consolidate a holistic nutrition plan appropriate and specific to individuals, their body type and health conditions. Blend ancient scientific practices, proven medical therapy, nutritional intervention and advocate therapeutic intermittent fasting. #854, 10th Cross, RBI Layout, JP Nagar 7th Phase, Near Puttenahalli BigBazaar, Bengaluru, Karnataka 560078. Jayadeva Institute of Cardiology, Bengaluru in Cardiac ICU for 2 months duration in management of cardiac emergencies. NIMHANS in the department of neurology for 2 months duration in management of neurological emergencies. Kidwai Memorial Institute of Oncology in the department of Medical Oncology for 1 month. Johns Medical College in the department of Emergency Medicine for 1 month. Involved in Undergraduate, DNB Family Medicine, and Postgraduate teaching sessions, both clinical case discussions and theory classes on subjects specific to diabetes and obesity. Conducted Workshops on wellness in various corporate companies and institutions to promote the concept of Holistic Wellness. Delivered nearly 50 keynote speeches on Holistic Wellness and Lifestyle Diseases in Organizations and Institutions. Presented a Paper “Severe Anemia as a Marker of HIV” in Silver KAPICON 2007. Awarded Second Prize in Medical Quiz for Post Graduates in Silver KAPICON 2007. Attended Every Edition of APICON Conferences from 2007. Attended multiple CME programs on various Medical Topics. Member, Karnataka Medical Council, July 2004. Participation Certificate, “Advances in Diabetes”, 6th International Symposia on Diabetes, Jan 2011. Life Member, Indian Medical Association, March 2013. CME Certificate, South Asian Federation of Endocrine Societies, October 2014.
International Associate Member, American College of Cardiology, June 2016. 7 European CME Credits (ECMEC), European Accreditation Council for Continuing Medical Education on Diabetes, August 2017. If You are looking to lead a Healthy, Disease Free and a Meaningful life or looking to Resolve your Health Issues and Restore Happiness, Write To Me or Meet Me, I Can Help You Accomplish Wellness as a Way of Your Life.